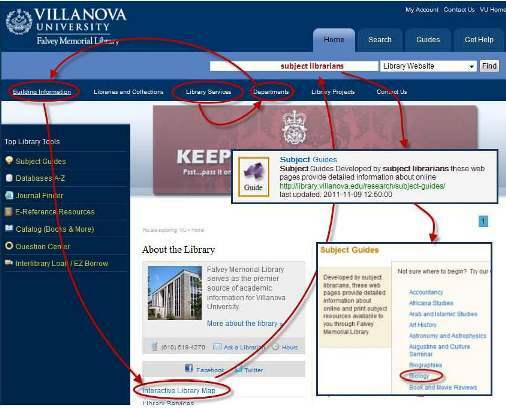 The library website is not just a pretty face; it is an essential research tool for Villanova University faculty and students. It is the main access point to online journals and databases, the library catalog, patron accounts, subject librarians, library events and much more. The library website had over 400,000 visitors in 2011. Available usage statistics already tell us a lot about how the site is used: the number of unique users, their geographic location, the devices and browsers they use to access the site and the time of the day or night when site traffic peaks. They also tell us which library functions are most heavily used: the online library catalog is at the top of the list with over 120,000 hits followed by the Databases A-Z list with over 100,000 hits. What usage statistics cannot tell us is whether students ultimately find the information they seek. 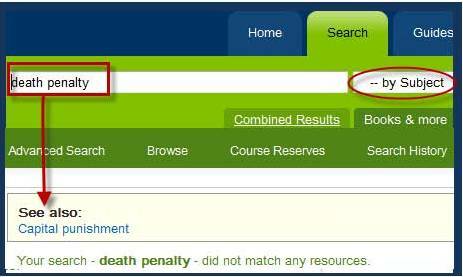 For this reason the library’s Web team planned and executed a series of usability tests. Usability testing is a technique used to test the functionality of website design through the close observation of novice users who are asked to perform a number of pre-defined tasks. Jakob Nielsen’s Usability 101: Introduction to Usability is a good source for detailed information about usability. Usability testing does not require much investment of time and resources although specialized usability labs use heat maps as well as eye and navigation tracking and recording software. Some labs have one-way mirrors installed to ensure unobtrusive observation of research subjects. Falvey’s Web team determined that a test administrator, a test recorder and software that tracked the test subject’s navigation paths while recording the thoughts of the subjects would suffice. How do you record the thoughts of a test subject? We asked all test subjects to think out loud while they performed the assigned tasks on the library website. Web designers generally conduct usability testing to identify design flaws. Why does the Web team need students, rather than library employees, to detect potential design flaws? The majority of library employees use the library website on a daily basis, which makes them expert users. Expert users navigate a website efficiently because they have been trained by their daily interaction with a website’s functionality and organization. As a consequence they are no longer able to see the site through the eyes of a novice user. Library employees also know from personal observation that students often cannot find library resources as readily as they should. Students may be confused by library lingo or by a content hierarchy that only makes sense to a librarian. For this reason the library’s Web team administers usability tests before and/or after it updates the website’s user interfaces. The ultimate goal of these tests is to design a website that is functional, intuitive and accessible to novice users and experts alike. Some of the results of the latest rounds of usability testing were expected based on informal observations; others were a surprise. Student feedback was unanimous in regard to text-heavy Web pages. They told us that certain library Web pages are too text heavy and make their “eyes glaze over,” which interfered with their ability to find what they were looking for. Most students had difficulties finding the contact information for subject librarians. Students were also not aware that they could browse the catalog for DVDs by running a search without typing anything into the search box and limiting to the DVD format post-search. Some of the findings apply to the building as well as to the website. We learned, for example, that students were looking for doors to the Falvey West stacks on the upper floors. Library personnel had only posted access information to the Falvey West entrance on the first floor. The subject search option of the library’s catalog can be a stumbling block for students who are generally not familiar with the Library of Congress subject thesaurus. The next upgrade to the library’s catalog will address this problem and point students to related Library of Congress subjects. It should be noted that many of the students who volunteered to participate in the tests were regular library patrons and already familiar with the website. In the future more first-year students should be recruited as test subjects. The complete report of test results and suggested improvements to the website is available online. Usability testing is an ongoing process, which means the work is never done. Once the recommended changes are implemented, new tests should be administered to find out whether the changes had the desired results. The Web team plans to test the usability of upcoming changes to the library home page, the Help pages and the Journal Finder tool. Jutta Seibert is the Academic Integration team coordinator. Note: This usability study was conducted in spring 2012. The Web team did a follow up study in fall 2012 to test whether changes implemented as a result of the spring study worked as envisioned. The new mobile interface was tested for the first time in fall 2012. Web team members are David Lacy, David Uspal, Demian Katz, Kristyna Carroll, Kimberley Bugg, Robin Bowles and Jutta Seibert. Volunteers who helped with the testing in spring 2012 were Gerald Dierkes, Melanie Wood, Frances (Mimi) DiLenge, Rebecca Whidden, Rob LeBlanc and Matt Ainslie.